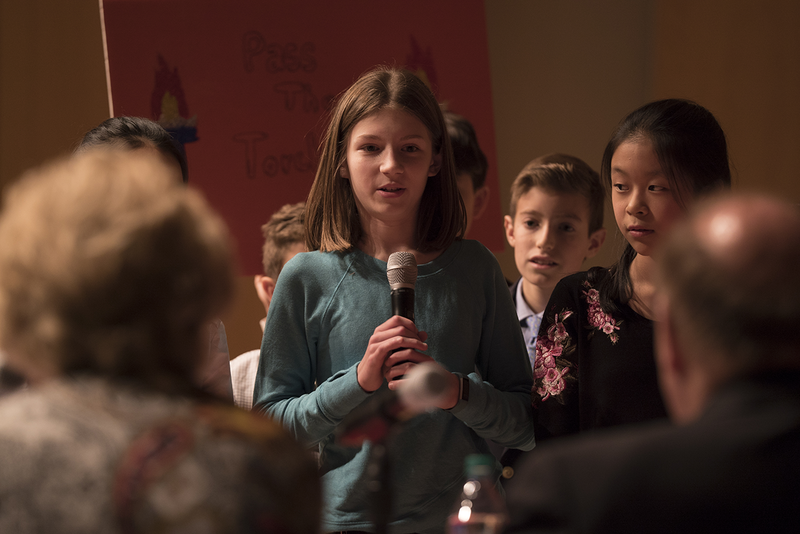 Fourth and fifth-grade students argued the case for or against term limits for members of Congress and Supreme Court justices at the finals of the Rendell Center for Civics and Civic Education‘s Citizenship Challenge. 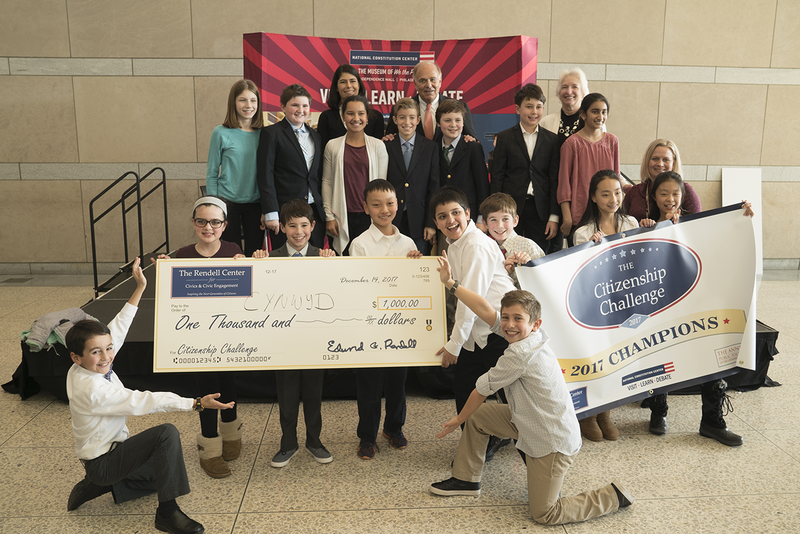 The Challenge, an essay contest which drew entries from classes across the five-county Philadelphia region, culminated in a series of presentations by 10 teams of finalists on December 14 at the National Constitution Center. 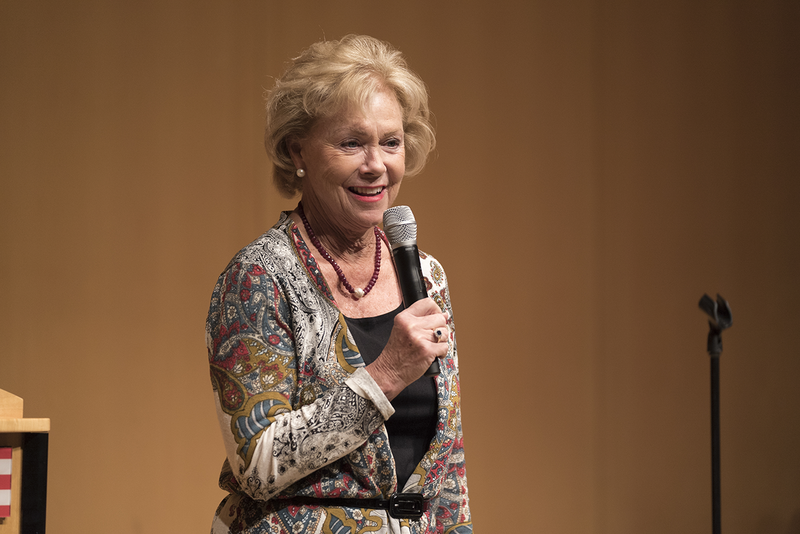 Nearly three-quarters of the finalists’ essays supported the idea of term limits for Congress and the Supreme Court. The essay prompt noted that the 22nd Amendment to the Constitution places term limits on the president of the United States, and asks: Should the Constitution be amended to impose term limits on members of Congress? Members of the Supreme Court? Why or why not? If so, what should the limits be? 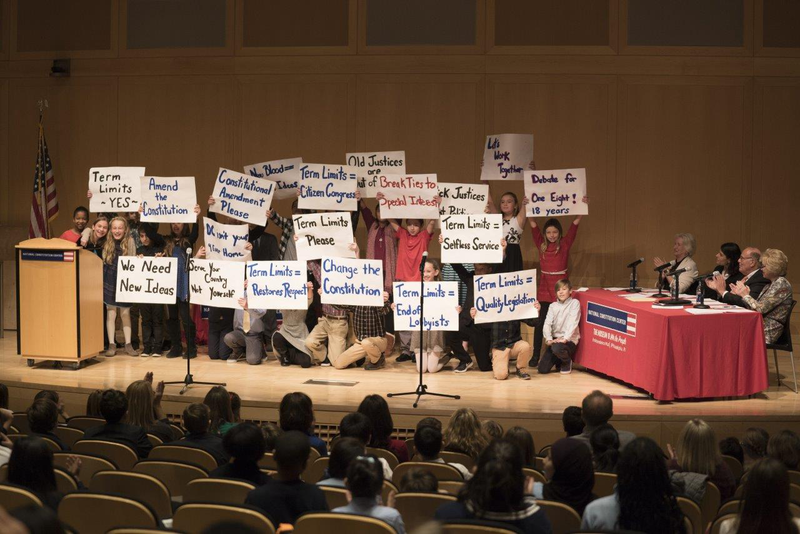 The team from Kirkbride Elementary School staged mini-debates over term limits as boxing rounds. Three of the Challenge judges: Alison Perelman, former Gov. Ed Rendell and Judge Marjorie Rendell. Radnor Elementary School students present their skit. 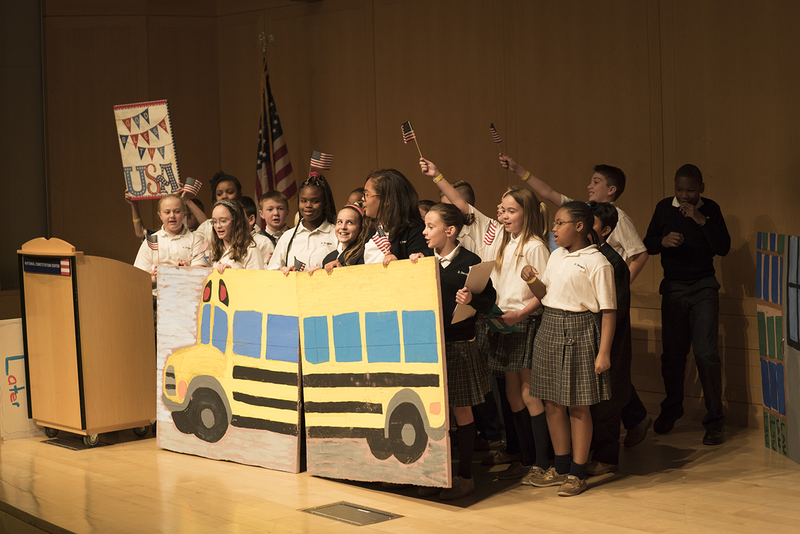 Students from St. Bernadette of Lourdes School, in Drexel Hill, imagined what life would be like if there were no term limits in school — a high school student continuing to serve as a class president in elementary school? A fifth grade football captain who’s still captain of the team when he’s in college? 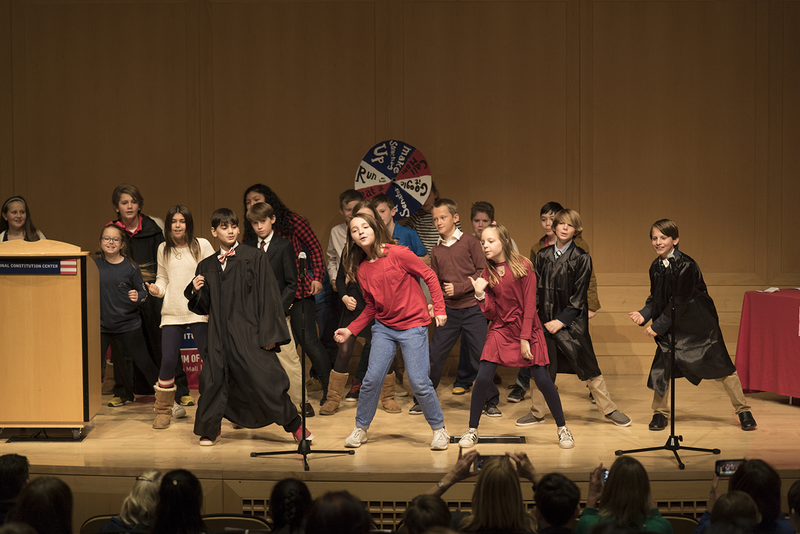 The class from Perelman Jewish Day School in Wynnewood proposed 16-year term limits for Congress but not the Supreme Court, arguing that having inexperienced judges would cause the court to become unstable. Second place: Buckingham Elementary School, Central Bucks School District, Linda Raitt’s 5th grade class. 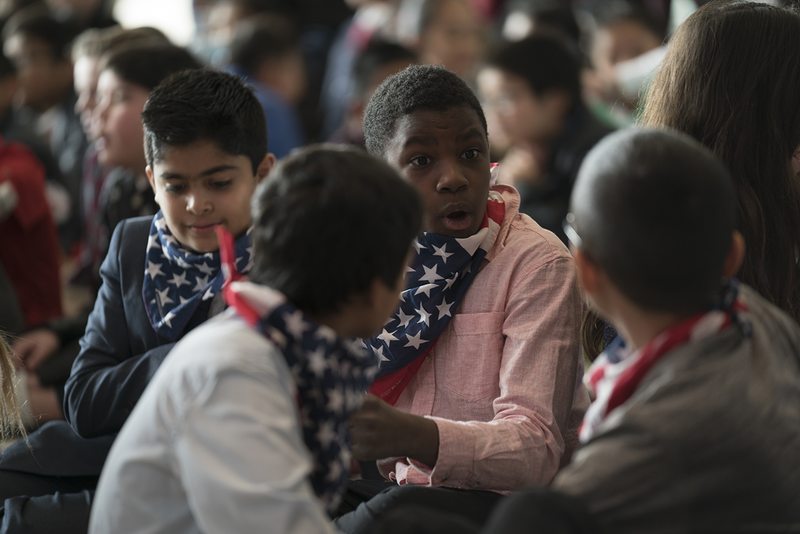 Third place (tie): Kirkbride Elementary School, Philadelphia, Lisa Yau’s 5th grade class. Third place (tie): St. Bernadette of Lourdes School, Drexel Hill, Archdiocese of Philadelphia, Christina Behan’s 5th grade class. The judges were: Former Pennsylvania Gov. 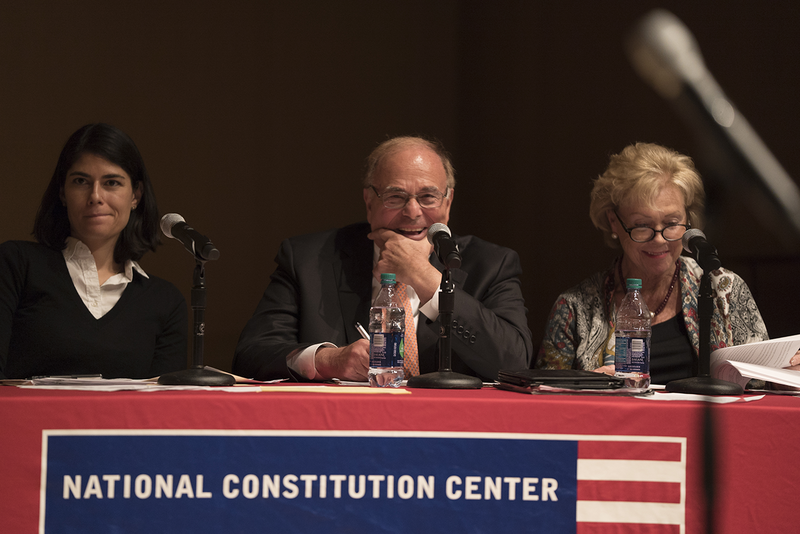 Edward G. Rendell; Judge Marjorie O. Rendell, U.S. Court of Appeals for the Third Circuit; Sally Flaherty, curriculum advisor in social studies, Commonwealth of Pennsylvania; and Alison Perelman, executive director, Philadelphia 3.0. 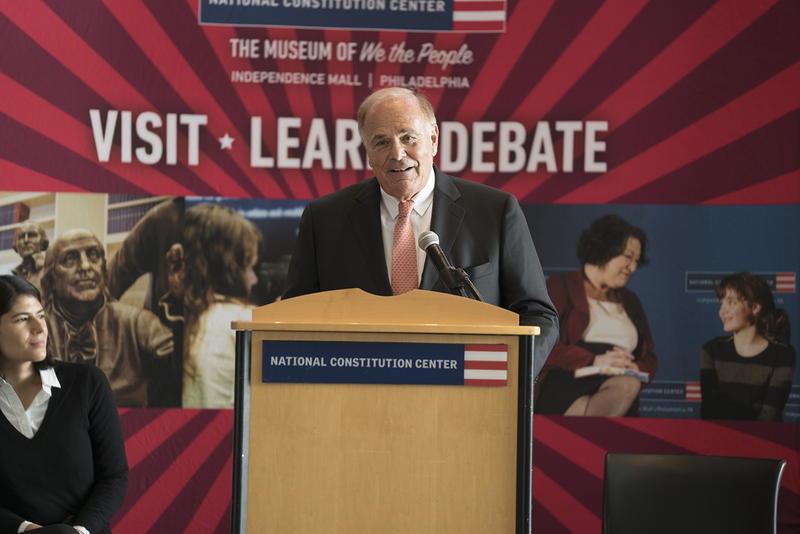 The 5th annual Citizenship Challenge was presented by the Rendell Center for Civics and Civic Education and co-sponsored by the Annenberg Public Policy Center and the National Constitution Center. 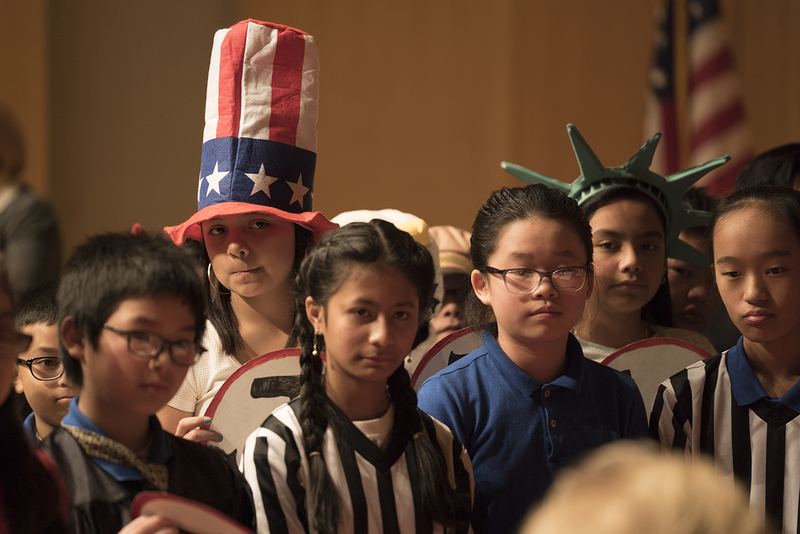 Students from Kirkbride Elementary School in Philadelphia face the judges. Former Gov. Ed Rendell announces the winners of the essay contest. Citizenship Challenge second-place winners from Buckingham Elementary. Students from Merion Elementary wait for the judges’ decision. 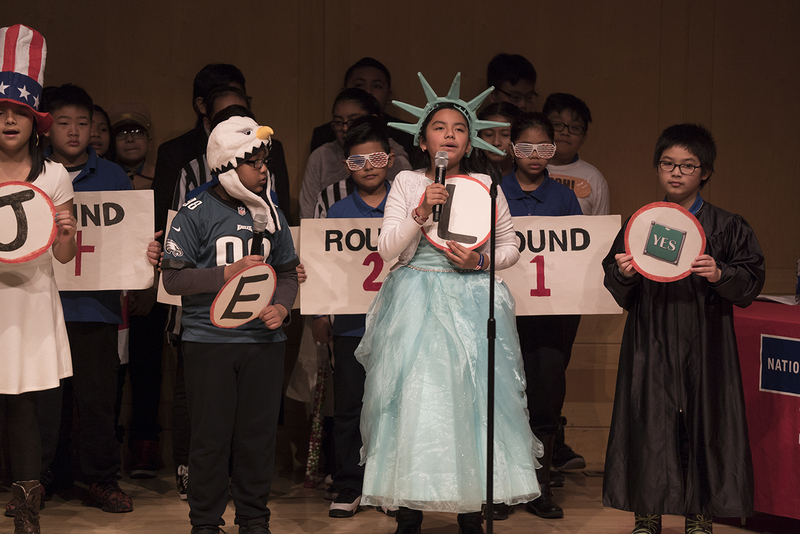 The first-place team from Cynwyd Elementary School. 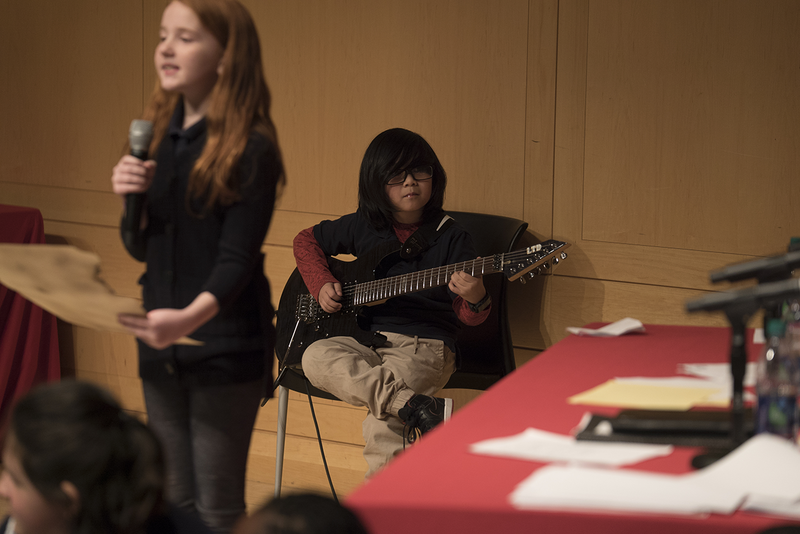 A “Star-Spangled Banner” on electric guitar accompanied the Anne Frank Elementary team. Skit from St. Bernadette of Lourdes School in Drexel Hill. The group from Cynwyd Elementary School is questioned by the judges.